Aviation in Canada: The CAE Story by Larry Milberry. This book is a full-out effort covering one of the world’s great aerospace manufacturers. You won’t find many aviation books as beautifully produced or all-encompassing. Begun in 1947. CAE edges into fight simulation with the CF-100, but this almost sinks the company. 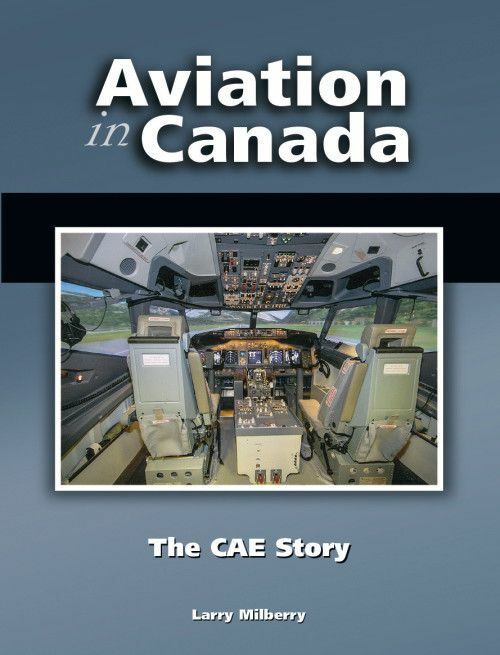 CAE survives to pioneer with Argus and CF-104 flight simulators, then does its first commercial sims (DC-9s). In the 1950-70s CAE tackles anything from Arctic defence contracts to consumer products. It operates Mid Canada Line stations, overhauls C-119s, F-84s, T-33s and Viscounts, manufactures airframe structures for the L-1011, runs a profitable forest industry business, fails with road graders and bushplanes, pumps out auto parts, designs control systems for power stations and the Canadian Patrol Frigate fleet, buys then sells its biggest competitor (Link). CAE designs the robotic hand controller for the Canadarm orbiting today on the ISS. 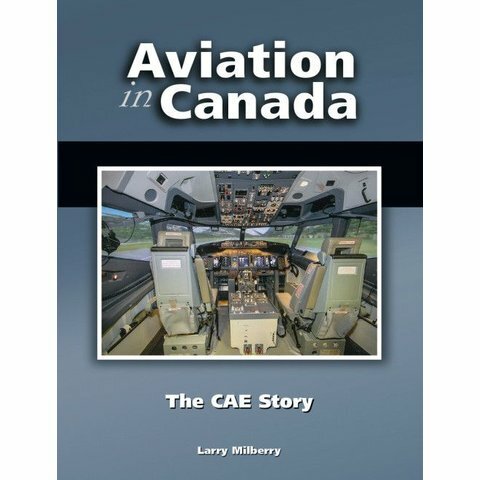 The book brings you to 2015, by when CAE has the lion’s share of the commercial flight simulator market, has developed advanced visual and motion systems, and operates flying schools and fight and medical simulation centres, helping to ease the worldwide pilot shortage. The great CAE pioneers and the generations of CAE employees are honoured by this beautifully-produced book. A book for the true aerospace history aficionado.